Platinum Wave features a brightly polished scroll on each frosted handle. 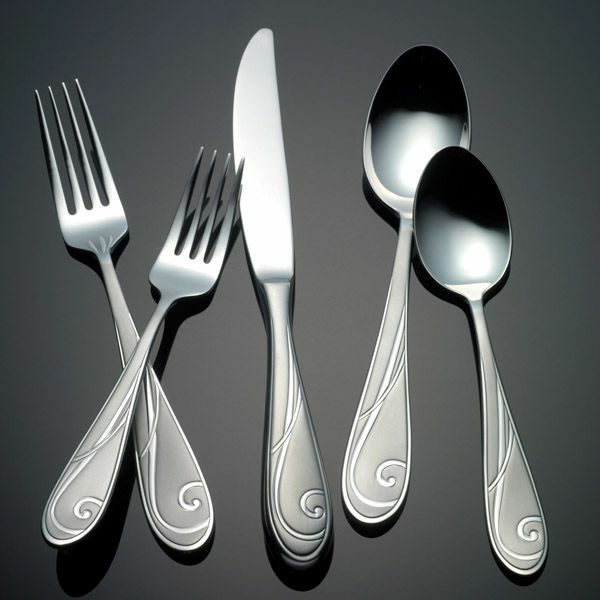 This pattern was designed to complement Noritake's dinnerware pattern of the same name. Also available with a gold accent as Golden Wave.